There was a clash between some officials of Kick Against Indiscipline (KAI) and Nigeria Army personnel, in Ojuelegba bus-stop, Lagos state this morning. 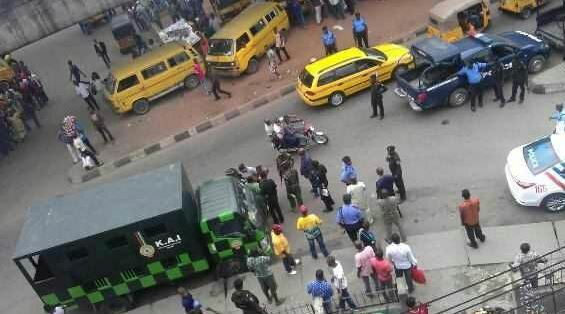 According to an eye witness who sent in the photos, a KAI officer allegedly slapped and tore a man’s cloths, just because he was passing by their parked van. Previous articleToke Makinwa Has Gotten Her Groove Back!